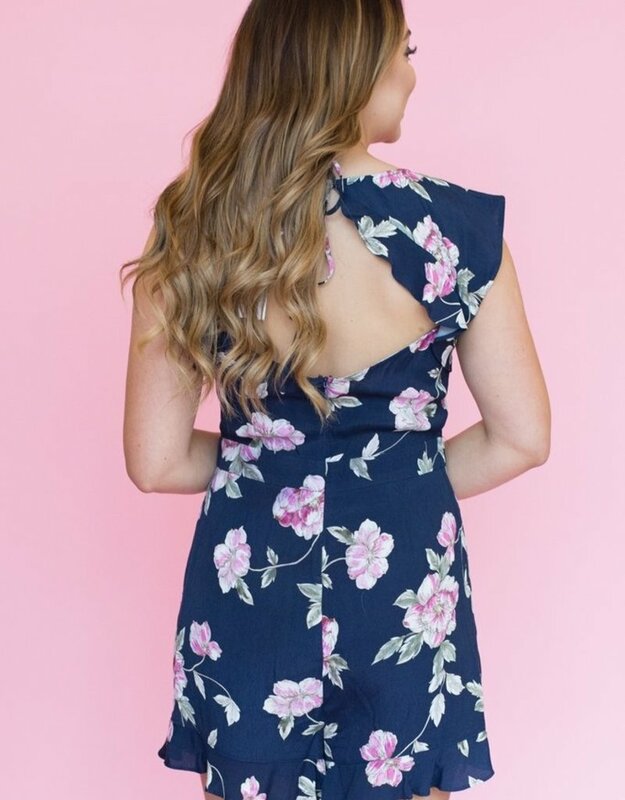 The floral pattern, ruffle details and open back make this Cupcakes and Cashmere romper perfect for an outdoor wedding, or vacation! Fabric: 60% viscose 40% rayon. Lining: 100% rayon. Hand wash cold separately and lay flat to dry or dry clean.